«In contributing art works from the Raussmüller Collection to a presentation of Jannis Kounellis in the exhibition space of Christian Stein in Pero/Milan, my aim has been to facilitate a richly diverse experience of this remarkable artist. 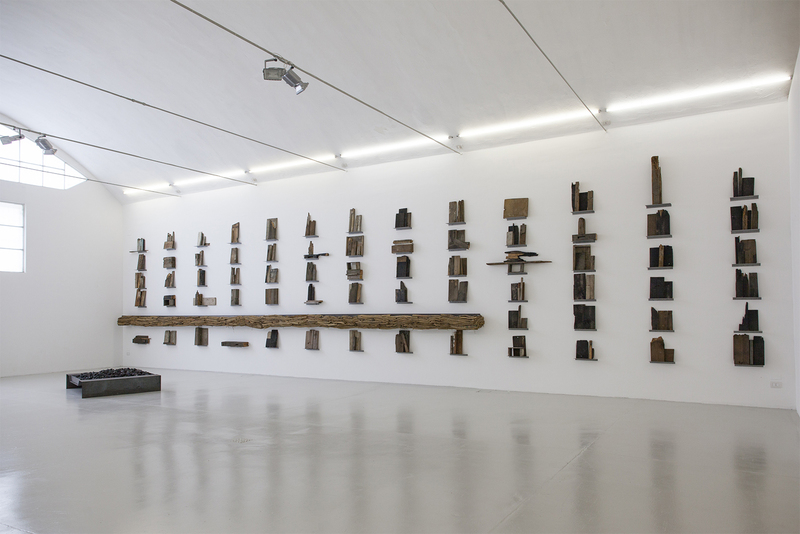 The Kounellis phenomenon was to be lent physical form through works that are each an experience in themselves. I was interested in creating a series of individual situations hallmarked by powerful pieces and thereby not to think in categorical terms of an “exhibition”. As a result, in each of the six rooms of the Spazio Christian Stein, a characteristic facet of Kounellis’ oeuvre was brought to life. In a departure from the norm, there was no thematic connection between the rooms – other than the overarching concept of simply allowing the works to speak for themselves. It was initially envisaged that this would happen without the “director” Kounellis. The exhibition took place from April 28 to October 10, 2015. © 2015 Raussmüller. Translation from the German by Karen Williams.